I wrote this article several months ago after yet another tragedy on the water. At that time some of the membership was calling for action while others were noting that safety is a personal responsibility. While safety is ultimately everyone’s responsibility (I have an obligation to warn you about something that I know to be unsafe) at the end of the day the responsibility for your own safety is yours each and every time you go onto the water. In some cases you may also be in charge of the safety of others such as minors or the inexperienced in your canoe. You are advised to be well aware of all the potential hazards and dangers that you may face on any outing. This article is not meant to be the last word on canoe safety, nor is it meant to be the end all of safety documents. It is meant to be like an appetizer to get you hungry to do more research about how to be safe on the water. There is purposely no mention of types of canoes or brand names of equipment. Some models of canoe are indeed unsafe for some situations. Some pseudo safety equipment is useless in an emergency. It is for the reader to research canoe safety further and this article will hopefully cover some of the questions to ask and some of the things to look up. When researching, learn to distinguish between fact and opinion and ask for evidence. No two sources will always say the same thing. What works for a fit person will not always work for an unfit person. What works for a person in their 30’s will not always work for a person in their 60’s. Learn to put into practice your safety strategy and do not be fooled into thinking that what works for you will work for everyone. More importantly, do not be fooled into thinking what works for someone else will work for you. Accidents are inevitable, but most are preventable or avoidable. Every person that goes on a canoe trip should have a government approved lifejacket, PFD, or BA. Not only does this assist in keeping a swimmer afloat it also helps to retain core body heat in colder conditions. When running rapids a flotation vest of some type is very important as aerated water will not support a swimmer as well as non-flowing water in a lake or pond. A fast flowing current can also make swimming more difficult without a flotation vest. Bright colors are recommended for flotation vests as it is easier for potential rescuers to see them at a distance. A quality flotation vest will typically have a zipper and 1-3 plastic buckle closures. In an emergency, zippers can break as can buckles, but usually both will not fail at the same time. Buckles can become caught on a canoe gunwale when a swimmer attempts re-entry as can external pockets for cameras and GPS devices so consider this when purchasing your flotation vest. If you believe that you will be re-entering your canoe from the water frequently consider purchasing a side zipper PFD with a single buckle at the very bottom. Flotation vest for young children often have one or two straps that runs between the legs and a drag strap behind the neck. This helps to keep the vest from slipping off the child when jumping into the water and helps as an assist for an adult to pull a child back into a boat. With this type of flotation vest your child is at risk of being entangled in water debris, trees or rocks so consider this when purchasing a vest for your child. They are designed primarily with power and sailing vessels in mind, not paddling in wild and semi wild areas or flowing water. A flotation vest for your child should be at least as good as your own and as well researched before purchasing. Flotation for infants and very small children are often designed with a cradle for the head in the form of a float pad attached to the back of the neck. This will in almost all cases roll the child to his or her back with the face out of the water. As with your own personal flotation vest, the vest for your child must fit properly to work. To check the fit, put the vest on the child and lift up at the shoulders. If the vest will rise up past the chin it is too large and could come off the child in an emergency. A well fitted flotation vest will move very little and will conform to the person wearing it very well. Personal Flotation for pets has become more and more popular and is worth noting in this section. Some pets swim better than others. Breeds such as Labradors are born to swim where as a Jack Russell Terrier may need some assistance. Purchase the flotation vest for your pet based on weight and breeds recommended by the manufacturer. The main reason for larger more powerful breeds to wear flotation is to provide protection from the cold as they will be non-active sitting in the canoe and exposed to the elements. Remember that pets are at a higher risk of entanglement when wearing a pet flotation device than when they are not so keep this in mind on wild and semi wild rivers with possible hazards. Every canoe should have a quality whistle or signal device such as an air horn. Ideally there should be a whistle attached to each flotation vest via a short lanyard. While air horns may reach 120dB (decibels) they are bulky and are better used on power and sailing boats. Marine, safety and sport whistles are much smaller, easily carried and are capable of between 90-120dB. The signal is used to get attention of others nearby in the event you witness or are involved in an emergency on the water. Three blasts of your whistle is universally known as the signal for an emergency. White-water paddlers use whistle blasts as communication as well which are more specialized. When paddling at night a signal light is very important as other larger boats cannot always see you. Many paddlers wear a head torch to facilitate this but a simple waterproof flashlight will be enough to signal your presence to an oncoming craft. The light can also be used to help rescuers pinpoint your location on a dark body of water in an emergency. A bailing device in a canoe can be indispensable in raining conditions and when traveling any distance on a river or the sea. On a trip where the hull of the canoe is accidentally punctured, bailing every few minutes may be necessary. This bailer can be made from a cut down bleach bottle or can be specifically purchased. Commercially available pumps are also available to remove water from a canoe. A large hand sponge such as those used to wash cars is also excellent for removing the last drops of water from the canoe. Removing water from the canoe can be critically important in very cold conditions. Primarily used by white-water paddlers to offer aid to companions who may have capsized, a 50 foot 15 meter floating rope is rarely used by lake water or sea paddlers. The rescue rope is often coiled into a throw bag to make it more easily portable and less likely to entangle anyone or anything. Ropes in flowing water will always pose a danger so it is best to keep them stowed safely unless needed. This rope can also be used for lining and tracking the canoe while walking on the bank in some conditions. While not personal safety equipment added flotation chambers make it possible to take canoes through higher grade rapids than would normally be possible. Less water is able to enter the canoe and some water will actually be shed as a front flotation bag will effectively extend the deck of the canoe allowing the paddlers to power through water obstacles that would swamp a normal canoe. Flotation bags are lighter than foam blocks but less robust. Flotation bags have other self-rescue applications such as may be encountered in specialized sailing and long sea crossings. Canoeing Experience; Where are you? Where do you aspire to be? Less experienced canoeists at any level are better advised to go paddling with a more experienced person as often as possible and to learn to paddle in the bow seat as well as the stern. Solo canoeing is far easier to grasp with a good understanding of how the canoe works from both positions. The amount of canoeing you do as well as the places you paddle will determine how experienced you become. Taking courses is a great way to meet people to paddle with who will take you to new locations and share their knowledge. There are many kinds of canoeing and most skills are transferable to other forms of paddling however a good understanding of the flat water fundamentals will always be your paddling foundation. Perhaps the most dangerous type of paddling is when the casual canoeist who goes out infrequently and has minimal experience leaves the shores for a trip. The cottage canoeist that plies the canals, quiet lakes and ponds during the warm summer months will often be caught off guard when conditions turn adverse or when paddling with someone that they have never been with before. While the dangers associated with canals and ponds are few, when the casual paddler goes out onto a glassy calm lake they frequently do not have the skills to get back to shore when the wind picks up and blows them deeper into the lake. When the casual canoeist takes a new friend on a trip and they stand up in the canoe for the first time, this inexperience can be deadly. For this reason, even casual canoeist should take a flat water course at the very least and always have a flotation vest. The flat water paddler has progressed to a level of confidence where the sudden changes in weather and wave action are not as threatening. This paddler has total control over the canoe and can easily paddle a figure eight between two floats and knows how to move in all directions and stop without effort. With more experience and perhaps a flat water canoe course this canoeist is more likely to be able to react to sudden movements of passengers and maintain control of the canoe. With some outdoor experience the flat water canoeist is better able to anticipate changes in weather conditions and is generally more aware. Paddlers with average or better flat water skills almost never come to harm except in the most serious of conditions. River canoeing is less demanding overall as the current moves you forward but more demanding of your skills and knowledge. Obstacles need to be avoided and this too can be physically demanding at the highest levels. The moving water canoeist takes all the skills and experience of the flat water paddler and expands on them to travel down rivers. 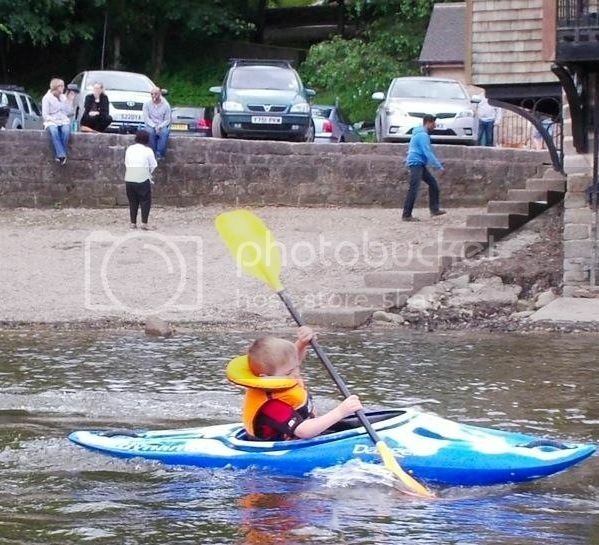 Also a skill known as reading the river is developed where a canoeist can tell what rocks and obstacles lay on the bottom of the river simply by looking at water action on the surface. Moving water can be more dangerous and courses on moving water skills are advisable. Changing and unexpected conditions can claim the lives of even the most experienced canoeists but this is very rare. The canoe tripper takes the skills of the flat water canoeist, the moving water canoeist, or both and combines this with the skills of the backpacker or camper and paddles from place to place setting up camp every night. Weekend trips are the norm but two week trips or more are also common at the elite end of the spectrum. Some epic trips ranging across continents taking months have been undertaken in canoes. At this level mistakes are costly so every day decisions are considered as very serious and very serious decisions will always be considered at great length. Due to their caution experienced trippers almost never come to harm on the water and are more likely to fall afoul of injury, illness or very extreme hazards. Sea paddlers take skills like those of moving water paddlers in order to read the sea and know where waves are most likely to break and so overturn a canoe. They also take skills used by flat water paddlers such as reading the sky to anticipate changing weather. To this they add the ability to read the tide and know if they are being pushed to land or away from it. With this and the fundamental paddling skills trips on the coastal areas are undertaken in fair conditions or better. Other challenges to coastal canoeing may be larger power craft and sea going vessels as well as an inability to go back to land due to rocks, cliffs and breaking waves. Most serious coastal paddlers carry specialized navigation, communication, and signaling equipment not required by other paddlers. There are many possible hazards on every canoe trip. Fundamental canoeing skills developed over time or through a certified course are the best way to learn to minimize the risks encountered when canoeing. Developing good judgment and learning to assess hazards and risks is the key to many happy years of paddling your canoe on the lakes, rivers and waterways of the natural world. Both in moving water and lake water rocks can be a hazard. Unseen rocks when struck are more of a nuisance on lakes forcing you to push back off of them however in moving water striking a rock can cause a loss of control of the canoe causing it to spin broadside into the current. This can lead to capsize and possible pinning of the canoe on a rock further down river if control is not regained immediately. Rocks can also trap swimmers in rare circumstances where fast currents are involved and can also cause head injuries and broken bones. Even the smallest weir can be a serious hazard. A hydraulic undertow usually exists at the bottom of all weirs and with higher water flow rates even the strongest swimmer can have serious difficulty escaping it. Add to this eroded weirs often contain exposed and sharp pieces of reinforcing steel rebar that can puncture and cut. Canoeists encountering weirs also frequently take on water at the bottom of weirs leading to instability and possible capsize right at the most dangerous part of the weir. Larger dams and weirs increase the risk with the largest almost certainly being fatal. Water born debris either man made or natural can cause hazards to canoeists. Log jams are the most common form and often must be portaged. In low water conditions experienced canoeists can often slide their canoe over top of them similar to beaver dams but in high flow conditions portaging around is the only safe action. Submerged and barely protruding logs are similar to rocks and the dangers associated with them. Perhaps the most dangerous thing on a river is the unexpected appearance of a sweeper or strainer. Trees attached to the bank and fallen part way across or completely across the river. In high current conditions these can take the lives of even the most experienced canoeist if they are caught unaware. Many people are trapped in sweepers, the current pushing them into the tree and down their flotation vest pushing them up. Canoes become entangled in branches and capsize to become pinned and their paddlers trapped. More than anything this is the most important hazard to be avoided by either landing immediately or going to the far side of the river if it is possible. Adverse weather such as wind can exhaust a canoeist completely in a relatively short time. Rain or snow squalls can bring on hypothermia to the unprepared. Lightning can kill a paddler instantly. There are quality outdoor clothing makers that market specifically to canoeists who need protection from the elements but judging wind, weather and lightning is a matter of experience. Wind can cause a capsize after total exhaustion sets in or blow a canoe into a large body of water. Experienced canoeists will not chance fighting the wind if caught out beyond their limits and will land as quickly as possible or change their destination and travel with the wind. Fog, rain and snow can usually be ignored with proper clothing unless it becomes extreme prompting experienced paddlers to end the day early. Cold water is perhaps the number one natural killer of recreational water users. When immersed in cold water a victim experiences difficulty breathing which can lead to inhaling water for the first minute. Next; within 10 minutes the victim begins to lose control of their muscles as the blood is no longer circulated into the extremities. At this point, without flotation the victim drowns. Self rescue is only possible within this short ten minute window and then only with excellent physical fitness. With some sort of flotation, but remaining in the water, within an hour the victim falls unconscious and cardiac arrest followed by death is probable. Mistakes will always be the number one hazard on the water. Errors in judgment, miss reading natural clues and conditions and being oblivious to the hazards will inevitably claim lives. Errors involving complacency where a canoeist has encountered the same obstacle or hazard repeatedly so they believe they are familiar with it can be costly when the conditions change or the water levels rise. Not understanding how to control the canoe or how to properly fit a flotation vest can be very dangerous in some circumstances. In the end the deciding factor when encountering almost all hazards will be the paddlers themselves. With good information and experience the hazards are avoided but without it tragedies are a certainty. The key to successfully avoiding hazards and negotiating obstacles will be to come up with a strategy that works for you. Before this can work you need to be aware of your skills, strengths and limitations as these will be the variables in your formula for survival and success. The greater your skill and experience the more challenging obstacles and hazards you can negotiate safely. The more times you employ your personal strategy successfully the more knowledge and experience you gain. This is a simple circular strategy that you can employ on every canoe trip. It works equally well on a trip with known or unknown hazards. When travelling a particular lake or river for the first time you can develop a plan based on your knowledge and experience. As you encounter hazards you stop and scout them from shore or from the canoe if it is very minor. If it is serious after scouting you assess the likelihood that you can overcome the hazard based on your knowledge and experience. If you reason that you cannot negotiate the hazard then you make a new plan and start again. Your trip plan should have contingencies for every possibility that you can think of and for every kind of hazard you can expect to encounter and even some that are very unlikely to see. You will need to come up with a new plan of action each time an unexpected hazard is spotted. There are a list of questions that you need to ask yourself for each hazard. Do I clearly understand what this hazard is and the risks associated with it? Am I physically and mentally prepared to negotiate this hazard? Is there a risk to myself or others? What can change that would create a new risk? Do I have the right type of canoe, paddles, and safety gear to negotiate this hazard? For example; In the case of a simple rapid with no real rocks to miss and a deep water series of waves created by a drop in the river that terminate in a lake or wide section of the river with little to no current the risk is minimal in warm conditions. An inexperienced person may decide it is worth the risk to attempt the rapid after watching others go through successfully. In cold conditions or more rapids further down stream that person would probably decide to portage. Stopping to scout a hazard can in many cases be done from the canoe. Simply stopping to assess the weather or take a good look around. Other times it will be done from dry land like in the case of paddling an unknown river and approaching a corner where the sound of rushing water is heard. Each time a new hazard is spotted that was unknown or was in your initial plan you stop to scout it to see what the conditions are and if they have changed since the last time it was visited. How bad could this be? How likely is it to go bad? Do I need a new Plan? In the example above the new canoeist scouted the minor rapid and decided that a capsize was possible but all his friends were waiting for him at the bottom in a pretty safe section of river. Judging by his risk assessment he decided to try the rapid. If he makes it then his experience has increased as well as his skill. If he goes swimming that is a valuable experience as well and he knows he needs to work on that skill. His friends pull his canoe to shore and he swims to shore where he gets some feed back on what went wrong. In cold conditions our canoeist decides to portage the rapid as the risks are higher. As you prepare to challenge an obstacle or avoid a hazard all the questions you have asked so far will help you answer a few final questions. In some cases you will find yourself making preparations and then changing your mind in favour of a new idea. This is not a bad thing. The more time you spend thinking about a hazard the better the chance that you will pick up on minor details that you may have missed. What can I do to control the risk and will that control measure also have risks? i.e. entangled in ropes while lining a canoe and slipping into the rapid. Who can I call upon for help? Is there anything I am forgetting? With all the questions answered you now know if you wish to proceed past the hazard and by what means. A simple hazard such as a lone rock can usually be scouted on the fly from the canoe. A rapid must often be scouted from shore before finally preparing to run it. In the example above the canoeist decided that the risk was controlled by his skill level and that his friends were there to help if it was needed. When the conditions were cold however he came up with a new plan to portage. He would ask all the same questions to himself concerning the portage. If there was a portage trail then it is pretty straight forward. With no portage trail he may decide to line the canoe with a rope. All of the choices have different risks associated with them. Any time a serious risk is identified then the canoeist would make a new plan for that risk. The sad thing is that many people will not use a system like this and will be joyfully oblivious to what does not look right and what does not feel right. They will make mistakes and fail to recognize hazards and the consequences of their mistakes range in severity from hurt pride to injuries and fatalities. No; there are no hard and fast rules that if followed will work 100% effectively to keep you safe. The fact that canoeing takes place all over the world in a variety of conditions with a variety of safety equipment and across a wide variety of skill levels means that what works for one person will not work for another in another time and place and in a different set of conditions. There is little point is an expert saying things like; eddy out to river left when it is not understood by the vast number of persons researching safety. There is no point in espousing the virtues of specialist safety gear to persons that cannot afford it or have little use for it or knowledge of how to use it effectively. The purpose of this article is not to be a comprehensive source for all the safety information available in the world nor is it the intention of the author for this to be considered an educational or safety training document. This article is intended for new paddlers to be a brief overview of some basic must have items such as a flotation vest followed by a description of some of the most basic forms of canoeing that people engage in and a guide to help the new paddler to learn to think safe. Learning to think safe is the one thing that can above all others contribute to people acting safely on the water and to making good decisions about hazards, obstacles and adverse conditions. A proper attitude of personal responsibility combined with skill and experience either learned over time or through a certified course is the key to many happy adventures. If you have read this far it is safe to assume that you have an interest in personal safety and the safety of others. Remember, safety is everyone’s responsibility. Now that you have read a quick overview of some of the gear to own and some of the most common hazards out there (and this was not a comprehensive list) along with a simple strategy to assess those hazards, you may have many questions and may want to do further research on the topic. The Song of the Paddle forum is a good start where you can read the opinions of a wide variety people from all experience levels. It is a place where you can ask questions both general and specific and begin to acquire web links and book titles for a more complete story on this topic. The membership can also point you to videos and certified courses and instructors. If you have read this far, hopefully you will continue to research, to learn and to grow as a paddler. Last edited by Lloyd; 22nd-August-2013 at 06:43 AM. A well written and sensible piece...thanks for taking the time to do it..still miss the LLoyd blogs though !!! Thank you, very interesting and thought provoking. Good basic Advice that I wish I'd had before starting to paddle! Even to a relatively novice paddler like me, that all seems like sound advice. The power of the elements should never be under estimated. The difference between young and old, fit and unfit rings true for me. My body does nothing as well now as it did 20 years ago. Really well considered and written piece Lloyd. Sound, well thought out, concise well written advice. One of the most useful threads on here. 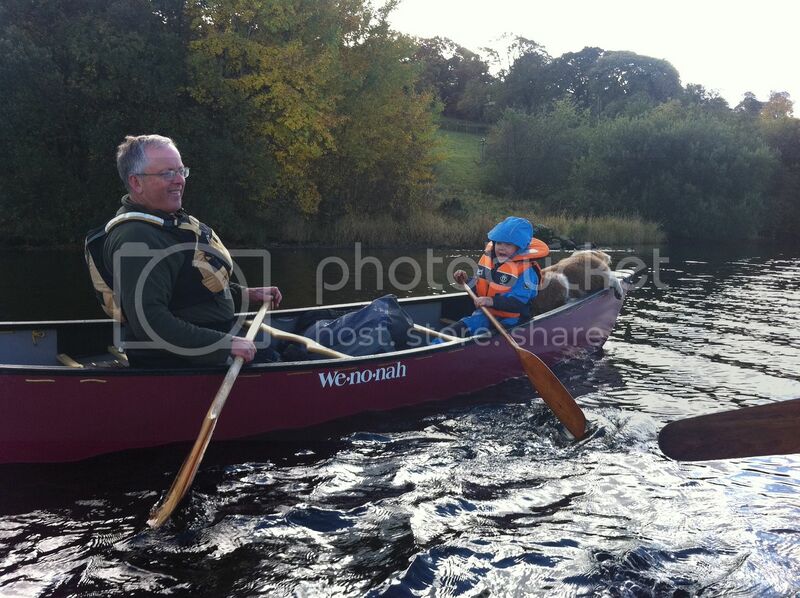 One comment I would make is that when a novice intends going paddling with a more experienced canoeist , choose your mentor carefully. Important when paddling two up, even more so solo. They must have the right attitude towards looking after someone less skilled than they are,realise that your skills may be limited at present and be prepared to give up their own aspirations to fit better with your abilties. Not all do. Some times those who are very skilled are useless teachers as they assume it's equally easy for others. Peer Pressure to tackle something outside your comfort zone? Dont do it. That's one area of personal responsibility that is vital. Be realistic about your own abilities. Not only risk to yourself but to others if you do get into trouble. Increase your skills levels through proper training with a good coach and by practicing in a relativley safe environment. Thanks for starting this Lloyd. That's a well written article, I would put myself into the Flat Water Canoe category. I bought my canoe when my family were very young, and have taken care to expose them to as little risk as I can while in the canoe. so we have stuck to flat water and good conditions. In addition to your list of essential safety kit I always have a dry bag with spare clothes for me and my family, and in spring and autumn I carry an emergency shelter. Buying a second boat has also reduced the risk for us. I would find it really useful to talk through some scenarios and the sensible precautions I can take to minimise risks. 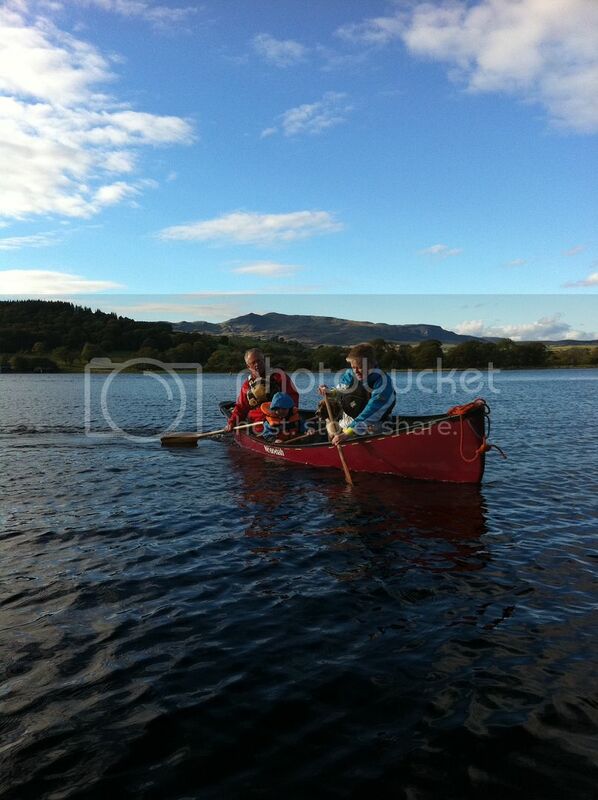 For, example, a family (2 adults and 3 kids) canoeing in the Lakes in spring time. The weather turns a little more unpleasant, the wind gets up and the canoe gets swamped or capsizes. At this time of year the water temperature will be pretty cold, hopefully I would have had the sense recognise the worsening conditions and not get too far away from the shore. This may be the key thing in avoiding hypothermia. I would hope that I can grap my dry bag ( the safety kit is always in the red bag) and the kids and kick to shore, probably leaving the boat behind. If I'm really worried I could cut the flotation installed in the canoe for extra buoyancy, this is probably not necessary. My wife usually paddles a sit upon kayak, we could hang on to this and make a short swim. Would I have been better off trying to get everyone back into the boat and bailing it out? Should there be anything else in my safety bag that would improve the situation? GPS, mobile phone, first aid kit, stove, fire steel, etc? Last edited by Quickbeam; 23rd-August-2013 at 10:47 AM. i think in your situation, where it's cold and you are close to (an accessible?) shore just get yourselves out of the water asap. then worry about the canoe etc. later. re-entering the boat with the kids and bailing it out takes time and quite a lot of energy. Yes, I think you are right. It's good to give this some thought in advance. I am totally shocked that Loyd the king of witty writing would stoop to using a ghost writer. It was good but I missed the younger Loyd. Good articles and you mentioned that it was not all encompassing. My SO and I finished 12 days on Lake Superior and did not hold to a schedule. The lake teaches but first it informs. Wind patterns sometimes are the same for an area but have subtle hints when there will be a change. Its best to know your area when canoeing by watching it. If you can even before you go out. About four days after we finished our trip a gent drowned during an area we had traveled through. They were trying to keep to a schedule and attempted to paddle past big standing waves when they should have just camped for the night. It was at a river mouth where the outflow met opposing winds that had a very long fetch. Signifying nothing." WS-prophecy about internet postings. Thanks, Lloyd, for spending the time to put this together. Nice one! Close to an accessible shore is the key part, you need to take stock quickly and decide which is the quickest way out of the water, to the shore or back in the canoe. Quickbeam mentions 'the lakes' implying the area known as the 'The Lake District' in Cumbria - these lakes are submerged mountain valleys and are very deep and very cold and do not warm up much in the summer. At the seaside beaches are usually shallow and extend out to sea at a shallow angle creating a shallow pool which warms quite quickly in the summer, the lakes have steep sides so get deep and stay cold close to the edge, it might seem odd but the sea can often be warmer than the lakes! If the shore is not very close you will do much better in the boat even if there is water sloshing around in it. Also consider looking at how your wife could tow the canoe behind the SOT, the kids will not last as long as you so turning the boat upright and putting them back in it for your wife to tow whilst you swim alongside might be a strategy. Like I say, you need to work out in the first few seconds what is the quickest way to get everyone out of the water, keep calm and take a few seconds to work out the plan. Also practice somewhere warm and shallow how you would get you and the kids back in the boat, and have a go paddling it partly swamped (you will need them to remain calm, if all of you try to react to the wierd motions of the boat you will tip it right back in). Paddling a partly swamped boat is tricky but not impossible so it requires some practice, and it is a very useful skill when things do go wrong and you can't really spare the time to empty out properly. Also practicing will show you how long it takes to get back in the boat and paddle to shore vs how long to just swim ashore, you need a feel for that to make the judgement! The same strategies are likely to apply to many Scottish Lochs - in general if the hills around are steep, the underwater slopes will also be steep and the water is likely to be deep and cold right through the summer. As Lloyd suggests, there is no definitive right or wrong, you need a range of options to pick the most appropriate at the time. People complicate the safety thing way more than they need to and work against themselves by bringing way too many things in the canoe that they do not need and then having extremely complicated backup plans instead of simple ones. Why bring a stove when a few candles will do? Why bring bags and bags of clothes when you can wear wool and a moisture wicking base layer? Why complicate a rescue with towing and swimming and bailing when a canoe over canoe and re-entry is easily the best thing to do? Why take kids more than 30 feet from shore when the temperatures are dangerous in the first place? If you don't do that you will not need to do the canoe over canoe. For anything to be effective it needs to have as few failure points as possible. The more moving parts your plan has the more likely it will fail you. It is all well and good to have all these wonderful plans and practice drills but in cold water you do not have time for all that fancy stuff you see on canoe web sites. You get to shore in a minute or less and forget the canoe and all the gear you strapped into it. My personal philosophy is not to paddle more than the length of my rope bag (50ft) from shore water I can wade in. If conditions make this impossible I make sure I have many other options before paddling into a kill zone. People kill themselves, the water is indifferent. I'm aware that I won't be able to rely on a clear mind if I'm in an emergency. The simplest plan is the best. The key is to stick close to the shore if the water temp is low and the conditions are less than ideal. Lloyd, I like your rule of thumb, staying within the length of a throw line from wading depth makes a lot of sense. I might think more carefully about what we all wear when we go out too. I'm also going to look at how we fasten the dry bags into the canoe to make it easier to release them if we need to do a canoe over canoe rescue. Staying close to shore at times can be the WORST thing you can do. Points with reflecting waves are particularly dangerous. Look up Fairy Point, Missinaibi Lake a notorious danger area in Ontario. Outflows of rivers can have large standing waves and rip currents. You will die trying to get back to shore directly. Best to float out then to the side. If you paddle past cliffs, staying away from them reduces the amplitude of reflecting waves. This is contrary to the usual safety thoughts and illustrates a prime safety principle. Know your area. Second is don't tie yourself to a schedule or goal and third is do NOT give into peer pressure. If you think going ahead is unwise, don't do it. Yeah, thanks for reminding me about reflecting waves. I learned about them when sculling on the Charles River when Chris Craft passed by. As long as I saw it coming, I could make quick changes in boat orientation to help it ride the passing crests. I'm pretty leery of big lake travel, just because I haven't done that much of it. Things have to go just a little bit wrong to provide good learning conditions. There is an area on East Grand Lake where paddling close to shore in wind is also inadvisable. The trick I use is to paddle out about a mile and them make the turn and let the wind push me to where I want to go. Of course this is one of those times where other variables come into play. Multiple canoes, area fishermen and warm summer waters offer a margin of safety. On a solo trip in cold waters I may not chance it but instead paddle in the calm early morning hours to get past that spot while staying closer to land. For every rule there is an exception so they are rarely worth quoting. Devon ..just up from the bottom and right a bit. I'll bump this one Lloyd .. It's worthy of it. Maybe Joe Public cruising the site may stumble upon it.. But as you said in another thread this kind of information will probably go unread by the people who mostly need to read it! yep, seems almost prophetic reading it again. as Lloyd said, people who need to get this won't read it. Best you can do is give them the chance to read it though. I just read it all again and all I've learned since the last time is how correct it is. For members in the UK. Could I just add, HM Coastguard operates a free small vessel safety scheme, CG66, to ensure rescuers have enough information to help find you in an emergency at sea. This data base holds owner details, shore contact details a description of the craft, photograph etc. all which can be used in an emergency to assist searchers in locating you. Canoeists and kayakers can help to reunite lost canoes and kayaks with their owners, thereby preventing search and rescue action. They can do this by putting their contact details on their vessel so that if the vessel is found, the coastguard can contact its owner. If you do get ashore safely without the boat please dial 999 and inform HM Coastguard the details of the lost boat this again will prevent unnecessary search and rescue effort, if an empty boat is found. If making a trip at sea, you may wish to ring the nearest Maritime Recue Co-ordination Centre and give them your passage plan and estimated time of arrival. This information will be logged on the computer system. PLEASE NOTE IF YOU DO NOT ARRIVE YOU MUST HAVE A SHORE CONTACT TO RAISE THE ALARM. The number of passage plans received and logged on a daily basis means that no search and rescue action will start based on you earlier reported passage plan unless the alarm is raised by some other means. The passage plan will be referred to aid the search. Kayakers and other small water craft users can use a personal locator beacon so that the Coastguard can find them more quickly in an emergency. Personal Locator Beacons (PLBs) are now legal to use to raise the distress both at sea and inland. PLB must also be registered to the owner. In the event of an emergency you activate the beacon, which sends a distress message to a satellite, this passes the alert to a mission co-ordination centre who forwards it to the appropriate Maritime Rescue Co-ordination Centre. Some of the PLB's even send a GPS position with the Distress alert enabling a much quicker and more accurate response. Marine Band VHF when used in a canoe or Kayak at sea level will not have a very great range maybe five miles, so the PLB has great advantages. For more information or advice please visit the MCA or RNLI web sites or ring a Maritime Rescue Co-ordination Centre (MRCC). Interesting, useful and sound advice. Looks like I can apply some of the lessons learnt from mountaineering to paddling. The same rules on risk assessment / planning apply, as does the weather being somewhat cantankerous. Having a healthy respect for the outdoors has saved me a load of grief. Pretty new to paddling (canals) but starting to get a feel for how the boat handles and how to make her do what I want (mostly). Looking forward to trying the same skills on moving water, and I will be sure to keep your advice in mind. Its a pretty decent analogy, and my own confidence when paddling the wilder places is partly because of years of visiting Scottish Winter mountains, amongst other hills, and learning to read conditions and make judgments. One difference is that if you go in on a big loch, or fast river, you and your group don't have the option of waiting for rescue, or sending someone to get help, you may only have minutes at best to get yourselves out of trouble. A very fair point Mal, Certainly a lot harder to hide and wait for help when you are being swept along. Again it's making the judgement, am I confident in the current conditions and experience to do this, or should I bail. (and I must admit I currently go hide in a kayak as soon as the wind picks up). Yet more to think about. This is excellent - i'm currently working on creating a new canoe trail for the Medway estuary and what you've written will help with putting together a code of conduct - if it's ok to use some of it, please? Now paddling Either a Gumotex Palava 400 Or a Gumotex Solar Pro 410c and LOVING IT! Even without the collared PFD zipped up it still worked lucky it had a crotch loop !! There are, in my opinion, several issues evident in the video above, one most definitely being, the (presumably) parent being a complete and utter dipsxxt! I suspect the bloke was simply teaching the child a few lessons, it certainly didnt look like an "accident"
Last edited by rancid badger; 16th-January-2015 at 10:17 AM. Last edited by pipster3; 16th-January-2015 at 12:00 PM. says to me exactly how it can be. I was fortunate enough to be exposed to the outdoors from an early age, camping wild and getting to walk on glaciers, cross rivers and so on at a young age. I missed out on paddling, but I am so thankful to my folks for showing me what life can be about from pretty much day one. I've also been privileged to travel by canoe through what most folk would think of as wild country with families with young kids. When you see it, it is SO obvious that it a hugely positive thing to do with your family. I agree. I even spend my work days persuading parents, teachers and local authorities of this. however, there is the rise of the 'Snow plough parent' - all failures, risks or difficulties must be cleared and eliminated from the child's path into life. Success is at all costs, and personal confidence is held as the highest trait a child can have. Sadly, it Ill prepares that child for life. Good article Lloyd. Even after a few years of canoeing there's still things for me to learn and be reminded of. So I have come late to this article and thread. Beautiful, comprehensive and well written. Thank you. I think that I would like to have that as a tattoo... maybe not. O.K. how about laminated onto a paddle or better yet, to the floor of the canoe in front of every paddler. Lovely, short and pithy risk assessment mantra! Thank you again for the effort. Glad this is still getting some mileage... it's preaching to the choir for the most part but if one person gets some use out of it then that is a positive. In winter and early Spring I always wear a dry suit, especially when paddling alone. You do feel a bit like a spaceman, but it could save your life. and the relevant bit is copied below. A very well told tale about how to deal with situations when everything goes pear shaped. On approaching the fallen tree with the main flow of water going under it i failed to to the enter the slow moving water and found myself going sideways towards the outcrop of stainers to my right. At first i managed to stay afloat leaning towards the tree but then lent to grab the rope and in the blink of an eye the water gushed in and i was over. Hand holds were non existent and my legs where being pulled under the tree with my canoe upside down being pulled under aswell. i could not swim against the flow and realised that as i could not feel any branches under my legs that i would be able to come up the other side of the tree if i went under. So thats what a did. Having come up the other side i could see my case containing all my camera equipment tumbling in the fast flowing water but still attatched by a leash to my canoe. I swam to retreive it but in doing so my foot was caught up in a loop of rope ,this resulted in me being forced downstream with my foot being upsteam!!!!! Only the day before i had decided to buy a proper rescue Knife (£12) and had it attached to my pfd in place of my usual bushcraft knife. I had already shouted to Roly "i,m in trouble -foot snagged in line". I had to get free and fast as it would have been tireing trying to keep my head up with my foot snagged. Grabbing my knife i had to go under the water and cut the rope and managed to grab the leash of my camera case as i came back up. with my knife still open i cut the leash i floated clear. By now terry and Judy had come back to help Roly and steve try to get my canoe free which was upside down with 1/3 under the tree looking fairly sorry for itself. With some pushing from ontop of the tree and with Roly Pulling as if he was in the world championship tug of war it came free and went under the tree the same way i did. At one point i did think i was in serious trouble but all worked out in the end and i came home with my canoe. Yeah; I carry a rescue knife and many people on the forum do as well, but it is not used as often as a say a bailer. Hopefully anyway... I purposely left out any mention of knives as the piece was written for the first year canoeist and was written with the UK audience in mind. As a newb to canoeing ( but experienced in wilderness / winter walking) Me and t'missus have been pondering how to keep as safe as possible. I have read this thread and taken on board some of it and formulating a plan / course of action / series of steps to take. I'd appreciate your thoughts. 3: If we go in then a very quick assessment - can we make it to shore with the boat? I am assuming its much easier to swim without it than with a upside down boat full of water. If the wind is taking us onshore and its only a couple of hundred meters then towing the boat to shore should be OK. Much more than that or an unhelpful wind abandon the boat and just get us to shore. I very much doubt we could right the boat and empty it in the middle of a loch on our own. 4) make the decision about how we are going to get out of the water quickly and stick to that plan. However if we do get to shore wet and cold without the boat then we would still be in trouble as exposure is still a big risk. WE would usually have all our camping kit in big dry bags. I am thinking of having a smaller dry bag with basic survival kit in it. dry top and trousers each, tarp / bivvy bag. torch, ( maybe shoes for walking out?). Seems to me this would be best attached to the boat using a quick release buckle on a strap so it could be detached from the boat and then clipped to t'missus so she can tow the safety kit to shore. How far is it realistic to swim in this cold water? Obviously we would have buoyancy aids but 10 mins in the water of useful active time seems to be about what folk reckon. How far can you tow a boat in that time? How far can you swim without the boat in that time? Is there a big difference between the two? What other precautions can we take? anything I have missed? If you are towing the boat to shore how do you do this? Attach the line from the boat to yourself somehow and tow it? Hold onto the boat and push it? Or should we really forget trying to get the boat to shore? Another question - how much difference is it swimming into the wind compared with downwind? Ie 100m into the wind of 500 m downwind - which is the better choice? First and foremost, you should be planning NOT to go in. If conditions make this likely, when there's just you in the wilds, you probably shouldn't be there. There's a little extra safety with a group, but if waves are such that they might swamp you, get the heck to shore. Paddling skills practice and training make that swim less likely. Even more important is the ability to judge conditions, something that your previous winter walking will give you a sound understanding of, even though the actual challenges are slightly different. Those islands will be fine, you just save them for when conditions are decent. If you get wind-bound, you sit it out, and need to allow for this in planning/provisioning. Careful route planning, including wind direction options, is key too. Often, there may be a more sheltered escape route on the other side of the island, even if its not going in the direction of your car! In a true life and death situation, forget the canoe. So yes, a "grab bag" with key survival items makes sense. My "day bag" normally includes extra clothing, and my "first aid kit" which also has foil bivi bag, 'bothy bag', emergency torch, couple of firelighters and a lighter in it etc. Often it also has the stove and pan in it for lunch stops anyway. The grab bag can also give you additional buoyancy when swimming. Swimming towing a canoe is not really an option in conditions that you're likely to have dumped in. However, if you really are near to shore, a 20m swimline/throwline attached to the canoe might help, though having a loose line in the water with you brings other dangers. This could certainly help in a swim during an attempted landing, one of the more likely times it will happen. Bear in mind that if you go in suddenly, make sure you grab the canoe instantly, as if it remains floating with only a bit of water in, the wind can blow it faster than you can swim. Sometimes self-rescue may be an option. I'm of the opinion that in conditions where you've gone in through swamping, its going to be pretty difficult to get back in & successfully paddle, but with two of you its an option more likely to work than for a solo paddler. You'd need a well practiced drill. This then leaves you to decide whether you want everything strapped in to add buoyancy (but make it hard to overturn if upturned, or to bail water out), or to have bags on a long single leash meaning you can chuck them out to lighten the canoe and also use as ballast on the opposite site to help entry. I do a combination - bags tied into the bows, but the main bags on a long line. All these things are fine in theory - the reality in strong wind and waves is not necessarily the same thing! Whilst its sometimes wonderful to put away the phone completely on these trips, keeping up to date with a weather forecast is damned useful. So you're not relying on a strong data signal, have somebody at home on standby to give you text based forecasts, with particular reference to wind speed & direction, as texts often get through when you can't get a forecast yourself. Also, make a proper note of any forecasts you do get, as the phone often doesn't save them. Obviously this isn't always true in other parts of the world, where there is no signal at all. As I often travel when the water is coldest (e.g. Easter), I often wear a dry suit. It gets too warm to paddle in a lot of the year, but definitely adds a margin of safety. One reason is that I'm often paddling with the "Pirate" kids, my thinking being that if I am in a dry suit and we have to "crash land" on a wild rocky shore, me being in a dry suit able to wade in deep water may definitely help us get the kids to shore dry. If you start doing this regularly, something like a SPOT device may be worth considering, even if its just to placate loved ones at home who think you're mad! One lesson we have already learned from our trips which have all been upwind is have plan B ready and use it if needed. Our winter mountaineering experience has given us the confidence to abandon when needed and how to risk assess. I guess less than 50% of our winter summit attempts have been successful. a low threshold for abandoning!. NO problem with that and of course we would not launch in 3 ft waves! No loved ones at home, no mobile signal at all in many of the areas we want to go in or certainly not one to rely on and I am old skool in the wilderness. Never rely on anyone else, never rely on a piece of technology, always self rescue. ~Calling for help is a failure. I have walked folk off mountains with broken bones before. So emergency bag seems like a good idea - do you tow it on a line? Ta for your thoughts - so in the conditions we are likely to be in you think a emergency bag and forget the canoe and kit in it?